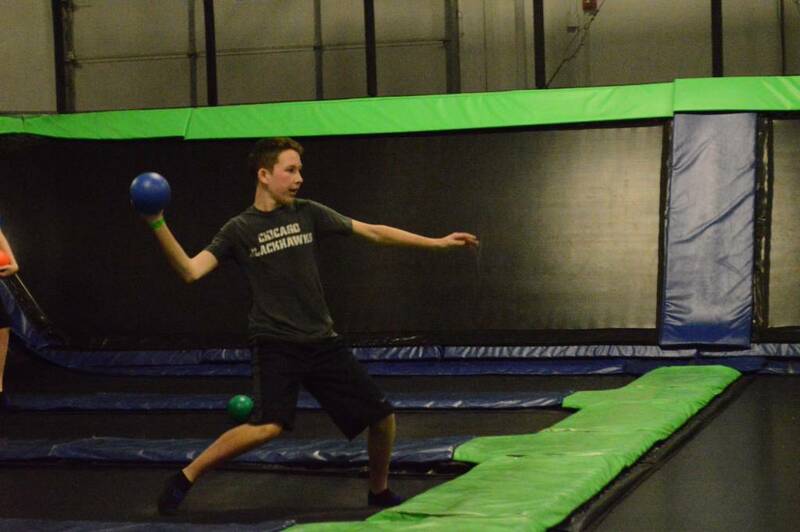 EPIC Air DodgeBall is contagious and addicting. 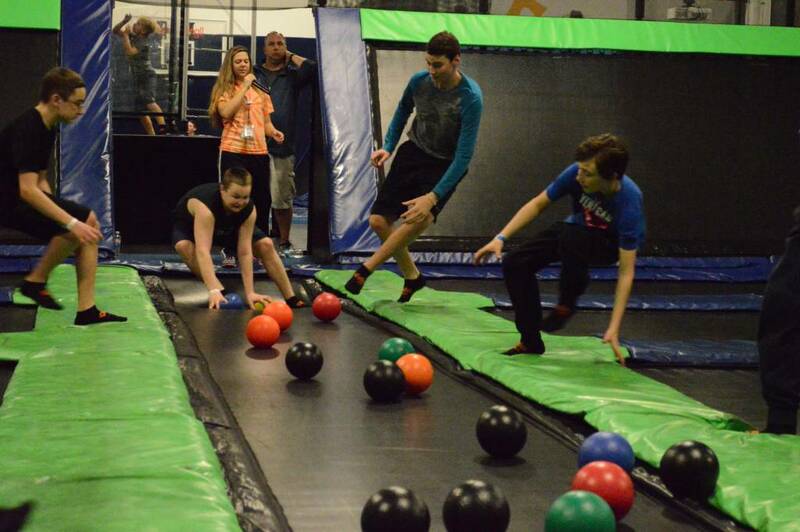 Take ducking, diving, and dodging, and combine it with wall-to-wall trampolines and you have an experience that will keep you coming back for more! 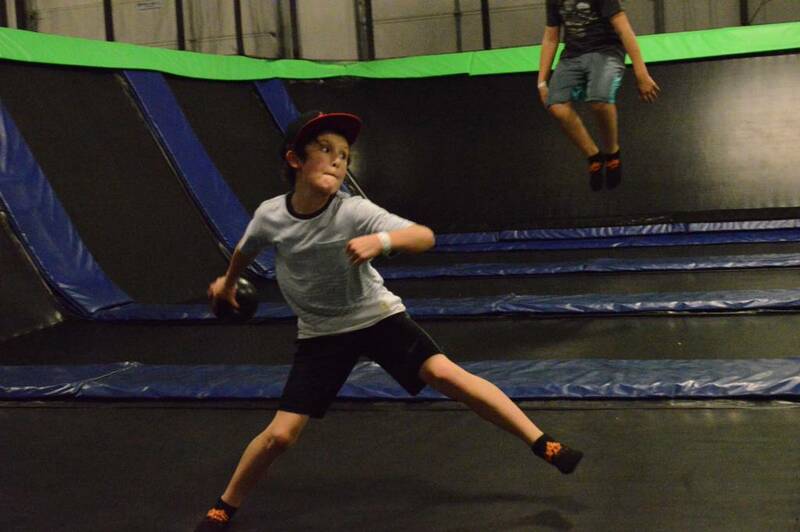 There is no better way to take aim at your opponent then when you are airborne from a bounce off of a trampoline! 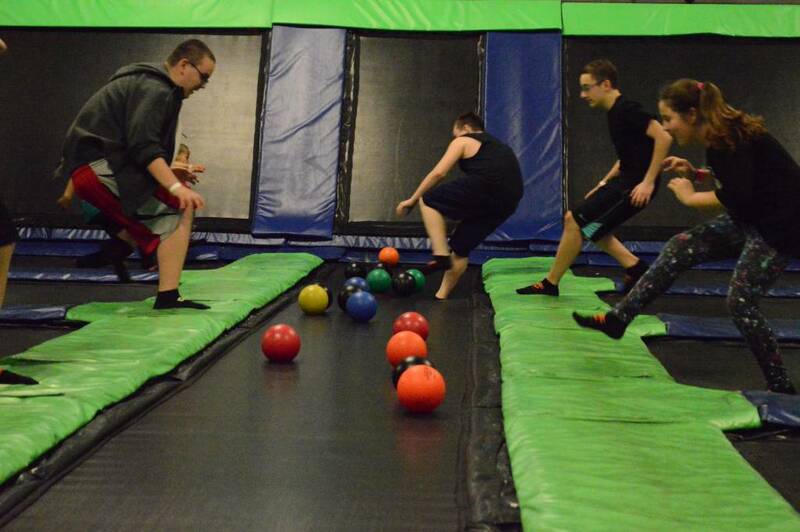 Keep an eye out for our dodgeball tournaments. Form a team of 6 or join a pick-me-up team at the park. Please follow Epic Crew Members instructions at all times! Please wait your turn in line – no line jumping. Game begins with both sides lined up on their back wall with an even amount of balls and players on each side. You are OUT if you get hit by a live ball. You are OUT if you have your ball caught by the opposing team. You are OUT if you cross the center line. You are OUT if you throw a headshot. LIVE BALL = a ball that has not touched anything else first. DEAD BALL = once a ball hits anything. 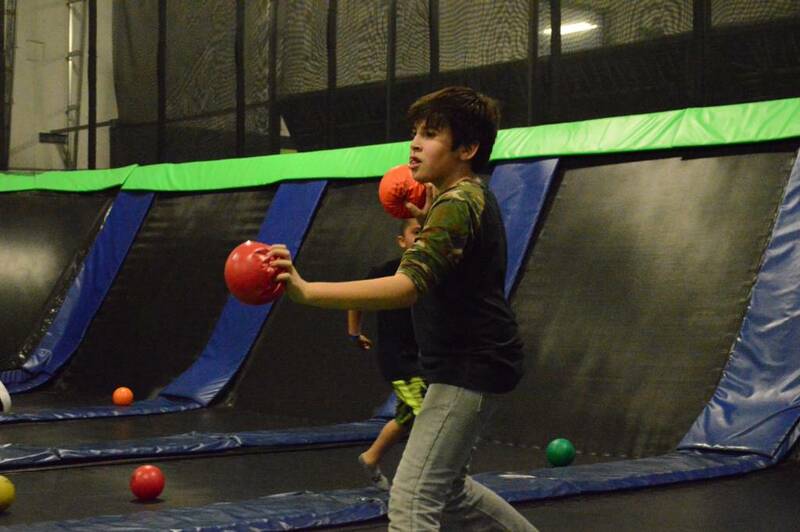 You are allowed to block a ball with a dodgeball you are holding. THROW the dodgeballs, don’t hold them. 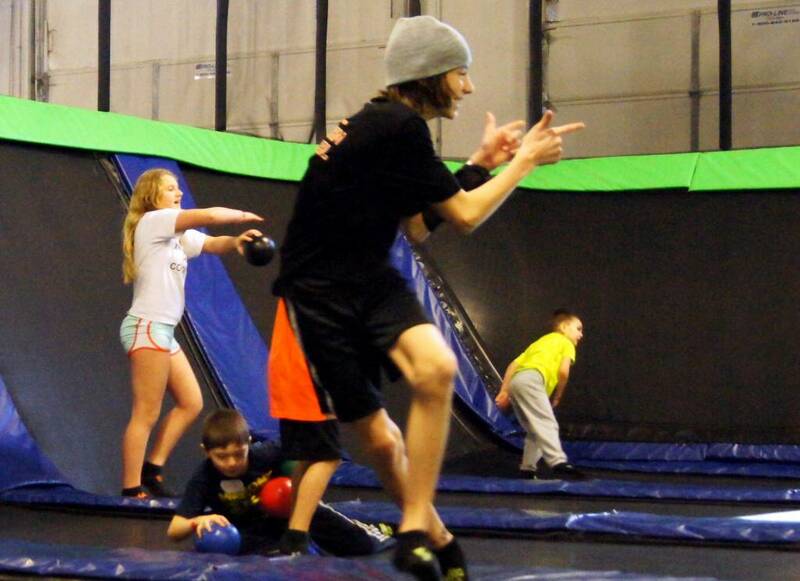 Do not kick the dodgeball. Each game has a 4 minute time limit. First team to completely eliminate the opposing team WINS! MOST OF ALL…DUCK! Make it an EPIC GAME and thanks for jumping with us! Win a 30-day free pass into Epic Air if you beat the team in a best out of 3 competition. Pass good for 1 and 2 hour jumps only; not valid for Epic Nights, special events or parties. Pass good for 30 consecutive days beginning the day after the “win.” Must be paying customer in order to win (cannot "win" if already on a free pass). A completed waiver is required in order to jump! We had a BLAST last night at our daughter's 9th birthday party! Our host, Taylor was so cute and so much fun! She totally ran the whole thing smoothly. I can tell she enjoys her job and playing with the kiddos, which is very important at place like this. We've done parties for our daughter at other Jumping places before, and the host barely spoke to anyone, which can be a drag. Taylor really did everything for us. All we had to do was talk with the other parents and enjoy the party! She even jumped with the kiddos! 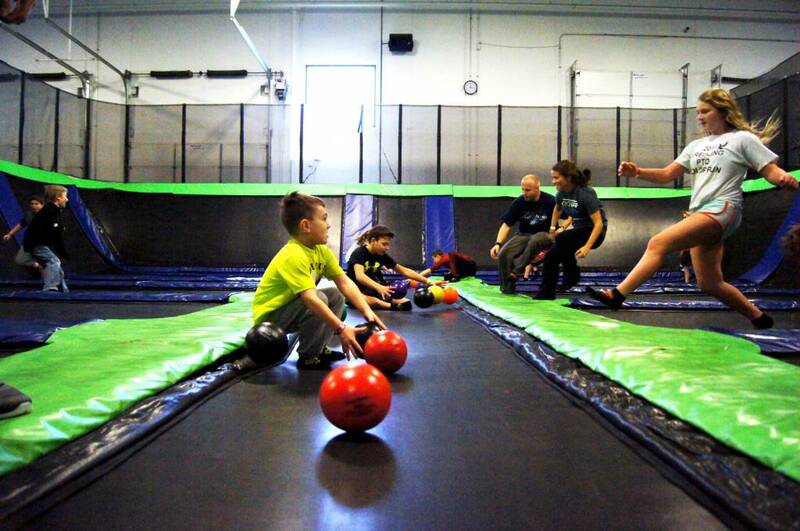 We'll probably do her 10th birthday party there too, and we'll be back this winter to jump some more! We have been to epic air several times and have had couple birthday parties as well in the past and every time has been wonderful! From the moment we got there the host Julio was incredible! He greeted us with such an amazing attitude and made sure that not only my daughter but all her little friends had a wonderful time! In our mail today we got a thank you note from Julio the host, what a sweet gesture and very well appreciated!
" Our Party Host Savannah was great with all of the kids in our party! She was polite, helpful, and well organized. She made my job so much easier, which gave me the opportunity to take photos and enjoy the experience vs. worrying about having to tend to everyone. Thank you Savannah!" I really love this place. As a nanny the age gap can always range in what to do with the kids. At Epic Air I find everything. My 2 year old boy loves the new ball shooting enclosure. 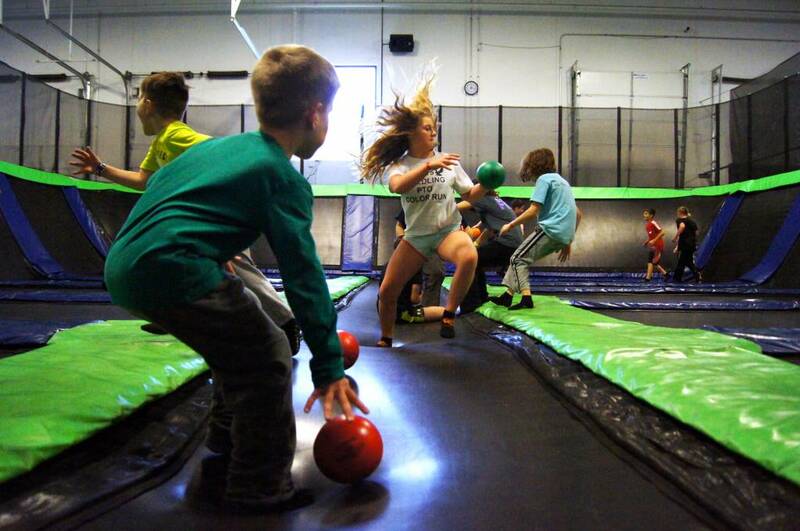 Of course the older boys love the dodge ball, and the girls are out flipping all over the place. The concession stand has a lot to offer as well. Great place to host a birthday! We had jumpers from preschool to 4th grade and everyone was able to have a great time! 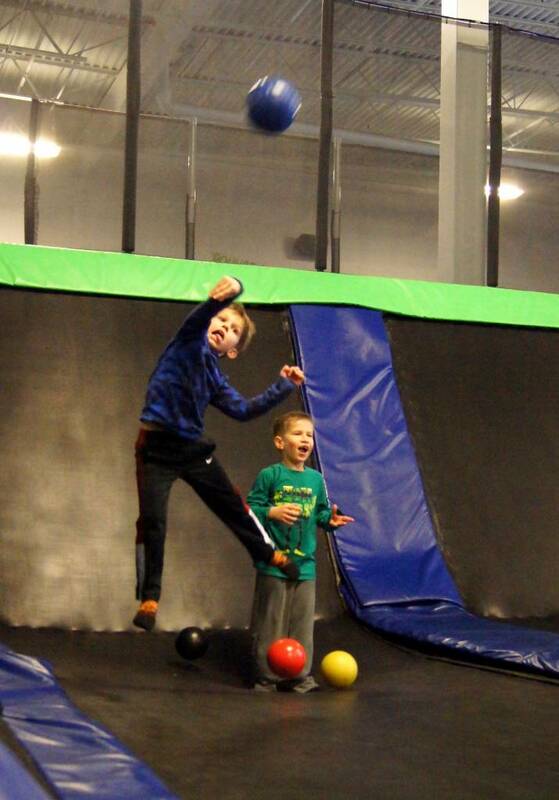 LOVE Epic Air - have been there many times...the place gives kids a chance to have a ton of fun- and be very physically active! They definitely forget about being on electronics for a while! HIGHLY recommend it!! A very cool place! But be ready for a good workout. Definitely recommended! My teenage son and his friends really love to come here! Their Friday night deal is easier on my wallet and a great way for boys to get all their stress out from a long week at school. 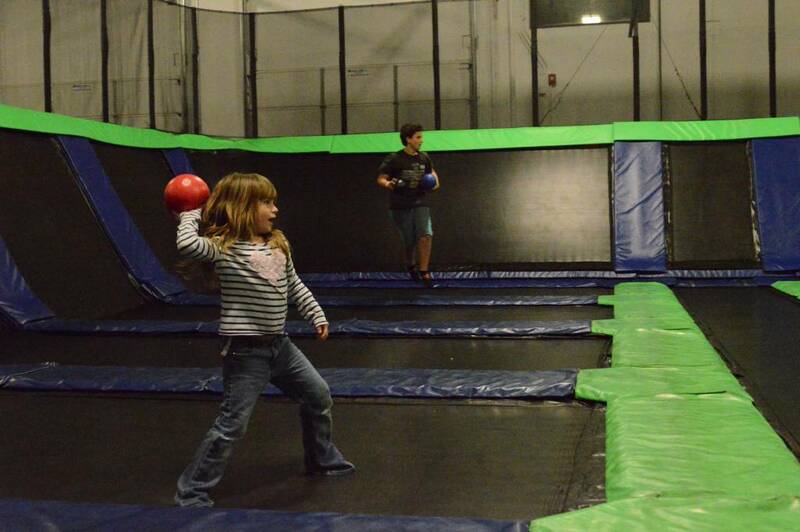 Playing dodge ball with your kids is a great way to take any frustrations out on them without actually hurting anyone! 🙂 We really, really love the foam pit, it's exhausting but exhilarating. Very fun place! It is a fun way to keep them occupied and know where they are but they can feel independent without parents hanging all over them telling them to be careful.